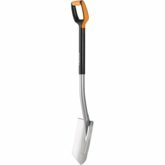 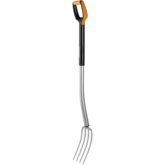 Fiskars Xact Shovel is a beautifully designed shovel for moving sand and other bulk materials. Its lightweight composite and steel shaft connects securely to a broad steel scoop which can shift materials quickly and efficiently. 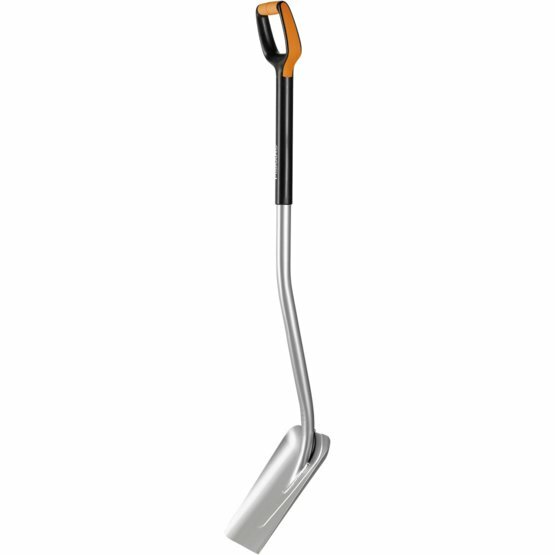 Control and comfort is assured thanks to a large D-shaped Push Pull handle with a SoftGrip™ inlay.